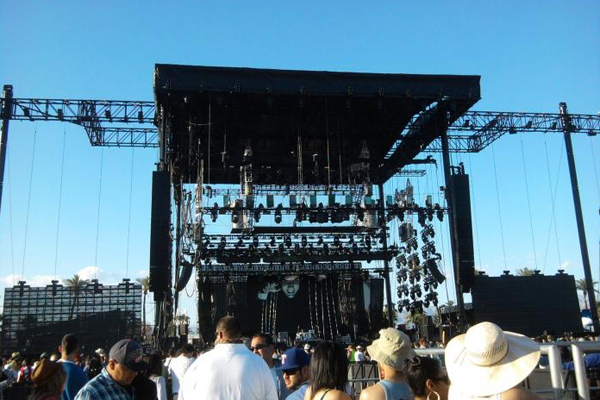 We're gearing up for The Coachella Music & Arts Festival, two weekends of live music, soaring desert temperatures, camping, carpooling, and crowd theatrics. Music vet Maura Johnston provides a primer. INDIO, California – Since its humble beginnings in the late '90s, has become the opening bell for summer festival season, a three-day affair where rock's biggest names hold communion under the endless desert sky, surrounded by swaying palm trees. 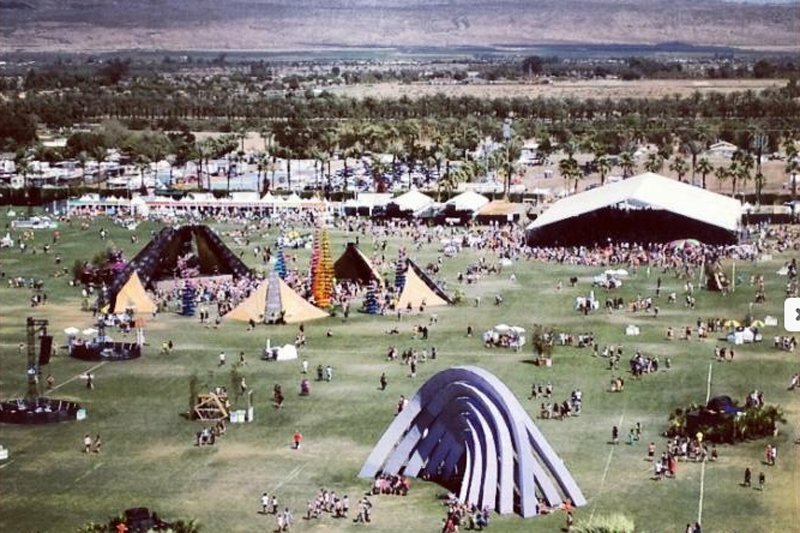 In 2012, Coachella expanded to two weekends, and it's staying that way in 2013. The lineups will be identical, although last year the second weekend's crowds were a little lighter than the first weekend's throngs. Big names playing this year include French titans of cool Phoenix, winsome twins Tegan & Sara, the ever-explosive Yeah Yeah Yeahs, and "Harlem Shake" crafter Baauer. This year's lineup has a decidedly retro bent, with New Order, Dead Can Dance, Blur, and the Stone Roses among the old-schoolers. And, of course, there's the people-watching — walking around Coachella's grounds is like being in a fashion show, with festivalgoers decked out in a style that combines hippie breeziness with desert temperature-inspired minimalism. Think long, loose skirts, floppy hats, bandeau tops. (This year's New Wave bent might mean that some goth influences will creep in, although they'll likely be kept to an accessories-based minimum. After all, wearing black underneath a desert high noon isn't always comfortable.) Keep an eye out for celebs going incognito: Boldfaced names who spent last April at the Polo Grounds included Emma Watson, Usher, and Kate Bosworth. Sunscreen, breathable clothes, sunglasses, a phone charger, a non-metal water bottle (refillable at on-site water fountains)‚ and, even though it's the desert, something you can throw over your shoulders once the sun goes down. The music's 12-hour- span means that temperatures will fluctuate a lot‚ and that doesn't even take into account the parties, which stretch into the wee hours. Check out our Music Fest Shop for more packing inspiration. 1. Date shakes, a delicacy particular to the desert; Palm Springs and the surrounding areas are flush with the sweet fruit, and they're absolutely delectable when blended and served with a straw. Food vendors on-site will have them, but there are also a on the way to Indio. 2. Metric, who are playing a mid-afternoon set on Friday both weekends. When I saw them in 2008, the combination of frontwoman Emily Haines's sweet vocals and her band's punky punch was great for recharging my batteries and getting ready for the long night ahead of me. 3. Outside parties, to a point. 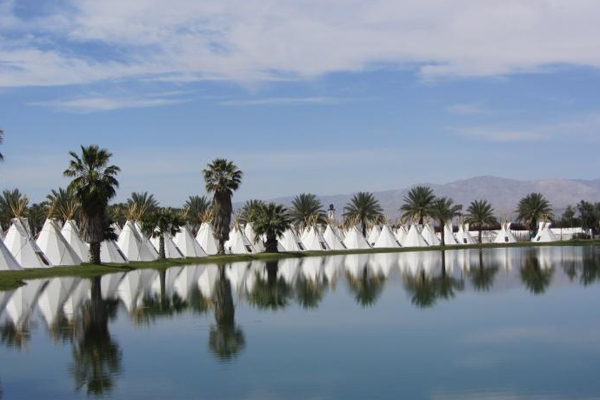 Since Coachella sprung up in 1999, other companies have tried to get in on the action, throwing swag-filled fests at hotels and other venues within driving distance (well, an hour) of the Polo Grounds. A bunch of them are invite-only. Sorry, regular folk, you only get to see the action after the paps have off-loaded their DSLRs! But Spin's poolside bash and Lacoste's are open to those members of the public willing to give up their email addresses. Be warned, though: These parties can be a bit of a time commitment, what with the area surrounding Indio being a bit far-flung and the lines having a tendency to get long. Being at the center of the "action." Yes, the festival has grown into its own cottage industry, with tickets selling out less than 24 hours after they go on sale and sponsored parties popping up around the periphery. But there's a lot to take in, and going at your own pace for 72 hours is more than okay. Given that there are six stages' worth of bands and tons of art on-site, not to mention a record store operated by the west coast music outpost , a speakeasy, and food trucks (including the legendary ), finding an experience that's way more satisfying than a VIP glimpse won't be much of a problem. is a renovated old-school motel with an on-site spa, a sparkling pool, and a location near downtown Palm Springs. It still has a couple of rooms left for people who want to extend their stay by a day or two, and who can't let go of their memories yet. Its festival includes a pop-up record shop from Jack White's vinyl-fetishizing Third Man Records label and a karaoke night for anyone who wants to try and get on next year's bill. Maura is a music journalist who edits and teaches at NYU's Clive Davis Institute. Her music festival itinerary for 2013 includes stops in Detroit and Nova Scotia. You can follow her on Twitter . She travels for the local snack offerings. Был найден мной важный web-сайт , он описывает в статьях про блоки фундаментные.